A project linking adults with learning disabilities and people with similar tastes in entertainment to go to concerts, festivals and theatre together is looking for more volunteers to join in. Gig Buddies has already paired more than 90 people in Sussex with a buddy so that they do not miss out on evening social activities. 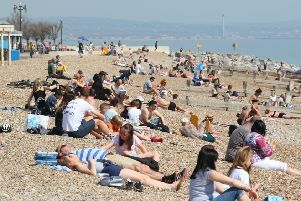 There is still a long waiting list, however, especially in East Sussex, so the charity is reaching across the border as far as Shoreham in the hopes of signing up more buddies. The idea of Gig Buddies grew out of Sussex charity Stay Up Late, which started as a national campaign to ensure that people with a learning disability receive support that does not stop at 9pm. This is because some care homes have inflexible staff rotas, which means many adults with a learning disability cannot access practical support to go out in the evenings. Gig Buddies attracts people of all ages and all types of musical taste – from heavy metal to musicals, indie to club nights. Gig Buddies has some amazing people involved in the project, such as the only qualified ping pong coach with Down’s syndrome in the world.